… that so many of you are amused by my father. I told you he was nuts. 😀 And yes, I’ve been working on the hat, but no, there will not be pictures until he gets it. I want him to be surprised. In other news, I promised pictures of the RAK that Ali sent me, and I finally have one for you. As you can see, the woman went crazy sending goodies to me! There is a pair of candles in “Asian Musk”, which smells absolutely lovely, a box of Hazelnut Praline Godiva biscuit, a Godiva chocolate bar (72% EXTRA Dark with Almonds – woman knows me well! ), a pair of Swarovski sheep magnets, which are too cute to be believed, a bar of Coconut soap (yummy! ), a magnet that says “Ever notice how ‘What the hell’ is always the right decision?”, and two hanks of Blue Sky Alpacas Cotton, in pale blue and a raspberry pink. Thank you, Ali!!! You are too sweet, and I meant what I said about hoping to meet you one of these days! I owe you a huge hug for this!! The aforementioned sari silk (10 hanks!) and a cloud of undyed mohair, which she thought would make a nifty throw dyed to coordinate with the sari silk and alternating the two. I am seriously considering that idea. Thank you Mary!!! Finally, yesterday’s mail brought me the last package from the BMFA Rockin’ Sock Club 2006. 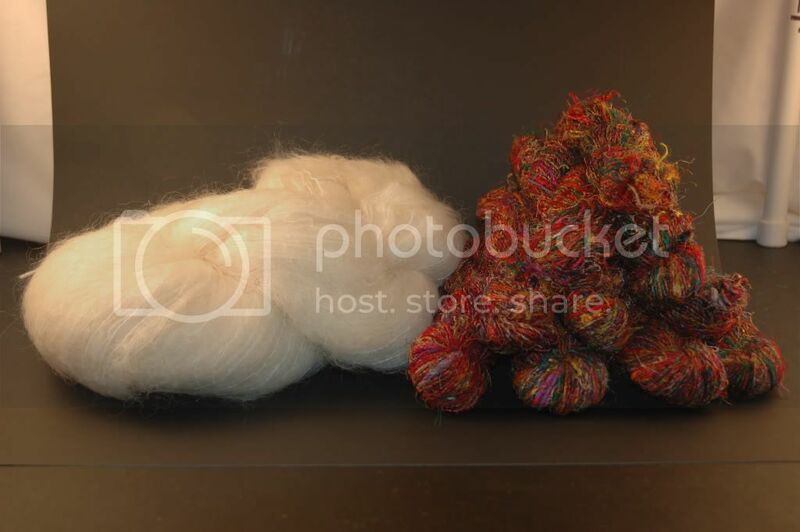 On the left, the December yarn – STR Lightweight in “Mustang Sally” – and on the right, my bonus skein for doing the full-year club – a hank of mediumweight “Rare Gems”, what they call mistakes that they overdye to come up with something unique. I got a perfect skein for me – lots of greens with some blues and golds mixed in. I’ve really enjoyed the club, and I’m looking forward to next year! And I realized something today. Tomorrow is my two-year blogiversary. I started out over on LiveJournal on Dec. 18 2004, and moved to Blogger on October 10, 2005 so that I could play with the layout and stuff a bit more. (And no, I didn’t move the first couple of posts over from LJ. They were completely lame.). It seems weird that I’ve been doing this for 2 years already! 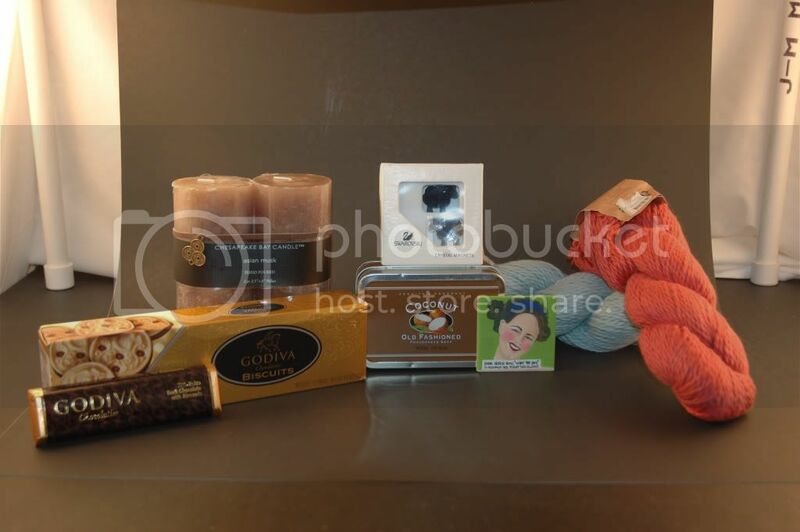 December 17th, 2006 | Tags: BMFA Rockin' Sock Club, RAKs and SP Stuff, Yarn Acquisitions | Category: Misc. Too cool! Ali is one cool peep!!! I like the concept of those “rare gems” very clever! And I am completely coveting the Mustang Sally. Wowee. Happy blogiversary! And yes, your dad is nuts. But in a great way. 🙂 Can’t wait to see that hat knit up! Ali is so very cool. 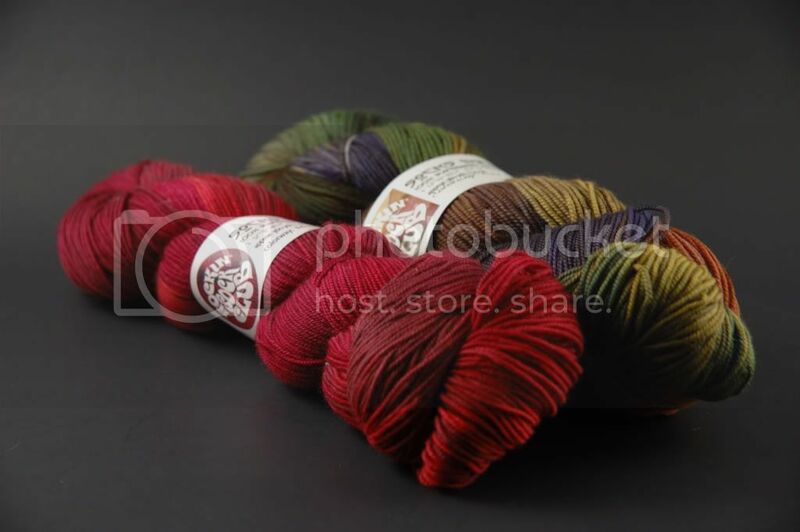 The yarns from Mary are also lovely. A throw using both those yarns would be yummy…it would make me want to live somewhere colder just to use it year round. Although I haven’t moved beyond the Fuzzy Feet, joining the sock club is tempting…I still have a little while before registration closes.